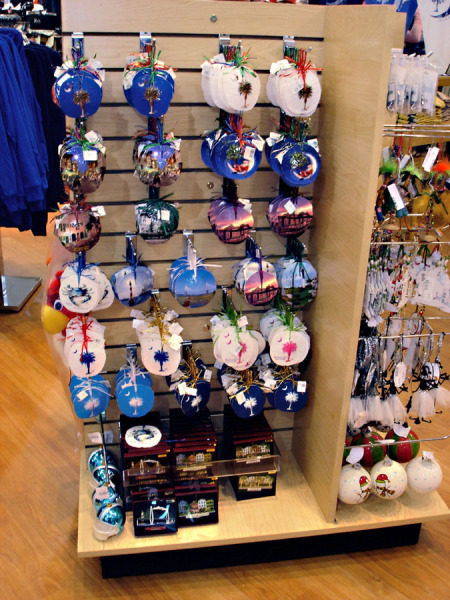 So many creative ways to display our popular seashell ornament collection! 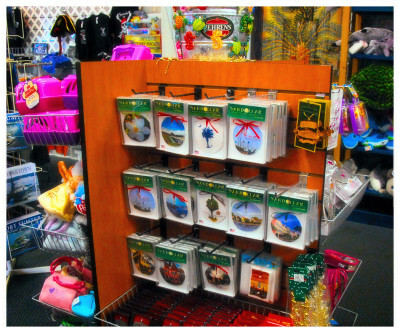 From floor to tabletop spinner rack, from shelf stacked to tab-hung, we have the perfect display plan for YOUR STORE! 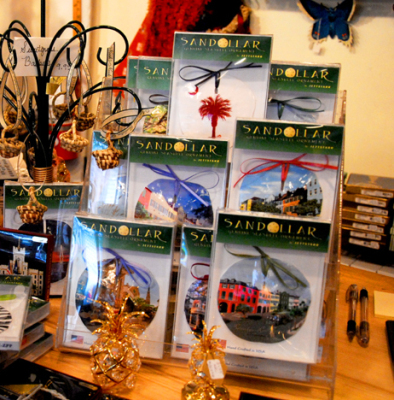 If you're interested in purchasing a floor spinner display, we'd be happy to arrange delivery to your store location anytime! Tabletop spinners, depending on availability, can hold up to 48 units. The floor racks we use are affordably priced and can accommodate 96 units. 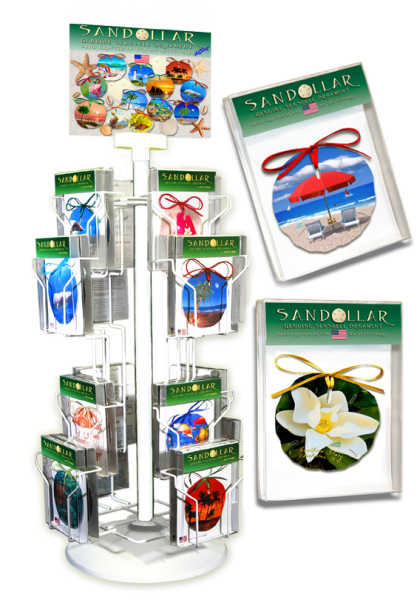 Ramp up your ornament display with a full color laminated rack header at no cost to you! 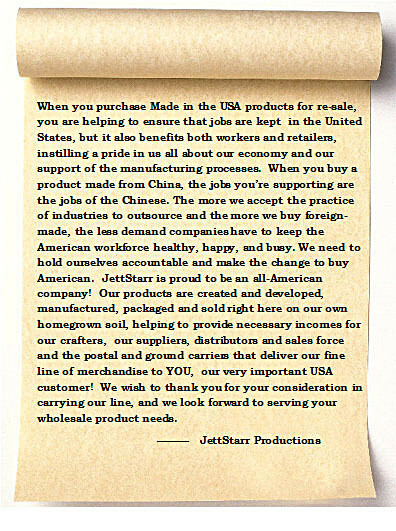 We'll send it with your order. Should you prefer to hang your units on a peg board or other slot display console, we'll include convenient, sturdy hang tabs on peel-off sheets along with your order at no extra charge!